1887 – President Grover Cleveland signed the Dawes Act into law. It authorized the president to survey Native American tribal land and divide it into allotments for individual members. 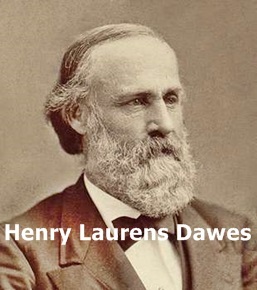 The “brains” behind the plan was Senator Henry Laurens Dawes of Massachusetts, whose objective was to get tribe members into the larger national society and out of poverty. Native American families were offered 160 acres of land they wouldn’t be able to sell the land for another 25 years. After those 25 years, they would also become American citizens … which failed to happen. 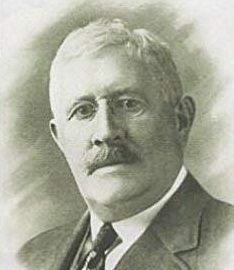 Senator Henry M. Teller of Colorado was a fierce critic of the bill and his arguments were proven to be correct. Within decades, a majority of what had been tribal land in the West – much of it the best reservation land – eventually passed into the hands of whites. The act was the culmination of American attempts to destroy tribes and their governments and to open Indian lands to settlement by non-Native Americans and to development by railroads. Land owned by Native Americans decreased from 138 million acres in 1887 to 48 million acres in 1934. 1910 – Chicago publisher W. D. Boyce incorporated the Boy Scouts of America. The BSA’s stated purpose at its incorporation in 1910 was “to teach boys patriotism, courage, self-reliance, and kindred values.” Former president Theodore Roosevelt, who had long complained of the decline in American manhood, became an ardent supporter. 1915 – D.W. Griffith’s The Birth of a Nation, a silent movie about the Civil War, premiered in Los Angeles. 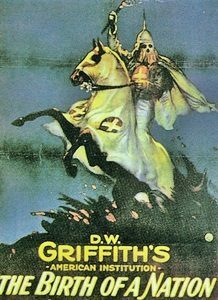 The 3-hour film was a commercial success, though it was highly controversial for its portrayal of black men (many played by white actors in blackface) as unintelligent and sexually aggressive towards white women, and the portrayal of the Ku Klux Klan as a heroic force. The film’s release is credited as being one of the events that inspired the reformation of the Ku Klux Klan in 1915. The Birth of a Nation was the first American motion picture to be screened inside the White House, viewed there by President Woodrow Wilson. 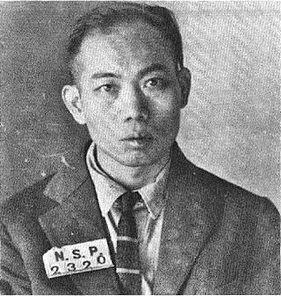 1924 – Gee Jon, a Chinese nationalist, was the first person in the United States to be executed by lethal gas. A member of the Hip Sing Tong criminal society from San Francisco, California, Gee was sentenced to death for the murder of an elderly member from another gang in Nevada. Officials first attempted to pump liquid cyanide directly into Gee’s cell while he was sleeping, but without success because the gas (duh!) leaked from the cell. Part of the prison’s butcher’s shop was converted into an airtight chamber eleven feet long by ten feet wide with an eight foot ceiling. A single viewing window and a pair of roughly-constructed wooden chairs adorned with leather restraining straps completed the world’s first judicial gas chamber. Maybe it’s just me but I’m not sure using cyanide gas in a butcher shop was the best plan. 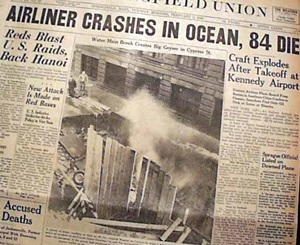 1965 – Eastern Air Lines Flight 663 crashed into the Atlantic Ocean and exploded, killing all 79 passengers and five crew members. The flight, which had originated in Boston, had just departed JFK Airport in New York City and was headed to Atlanta when it crashed near Jones Beach State Park, New York. A National Transportation Safety Board investigation determined that evasive maneuvers undertaken by Flight 663 to avoid an oncoming Pan Am Boeing 707 caused the pilot to become disoriented and lose control of the aircraft. 1968 – An attack on black students from South Carolina State University who were protesting racial segregation at the town’s only bowling alley, left three dead and twenty-seven other protesters injured in Orangeburg, South Carolina. Students started a bonfire at the front of the campus. As police and firefighters attempted to put out the fire, Officer David Shealy was injured by a heavy wooden bannister taken from a nearby unoccupied house and thrown in his direction. Five minutes later, South Carolina Highway Patrol officers began firing into the crowd of around 200 protesters. Eight Patrol officers fired carbines, shotguns, and revolvers at the protesters, firing for 10 to 15 seconds. Most of those who were shot were hit in the back as they were running away. 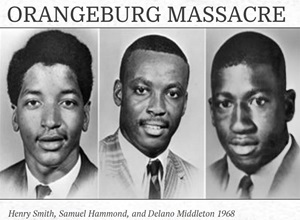 Three African-American men were killed; Samuel Hammond, Henry Smith (both SCSU students, shown in photo at the top of this column), and Delano Middleton, a student at the local Wilkinson High School. Middleton was shot while simply sitting on the steps of the freshman dormitory awaiting the end of his mother’s work shift. He was shot seven times, once in the heart. The shooting deaths received very little national attention. 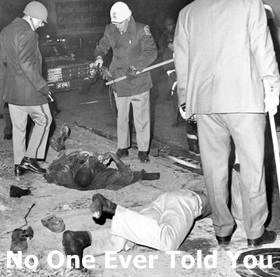 No one ever told you. The federal government brought charges against the state patrolmen in the first federal trial of police officers for using excessive force at a campus protest. The state patrol officers’ defense was that they felt they were in danger and protesters had shot at the officers first. All nine defendants were acquitted although thirty-six witnesses stated that they did not hear gunfire coming from the protesters on the campus before the shooting and no students were found to be carrying guns. 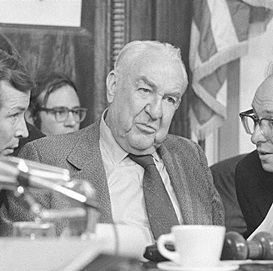 1973 – The United States Senate voted 77-to-0 to establish a select committee to investigate the Watergate scandal, with Sam Ervin (D-North Carolina) named chairman. The committee played a pivotal role in gathering evidence that would lead to the indictment of forty administration officials and the conviction of several of President Richard Nixon’s aides for obstruction of justice and other crimes. Its revelations prompted the impeachment process against Nixon, which featured the introduction of articles of impeachment against the President in the House of Representatives, which led to Nixon’s resignation on August 9, 1974. 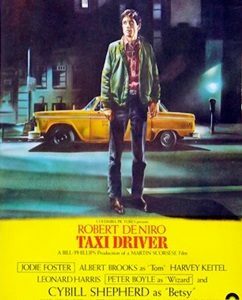 1976 – Taxi Driver, starring Robert De Niro, Jodie Foster, Cybill Shepherd, Harvey Keitel and Peter Boyle, premiered in U.S. theaters. It was a critical and commercial success upon release and was nominated for four Academy Awards, including for Best Picture, Best Actor (for De Niro), Best Supporting Actress (for Foster), and Best Music, Original Score. The film generated controversy upon release mostly because of its depiction of violence and casting of a 12-year old Foster as the child prostitute. It is regularly cited by critics, film directors, and audiences alike as one of the greatest films of all time. 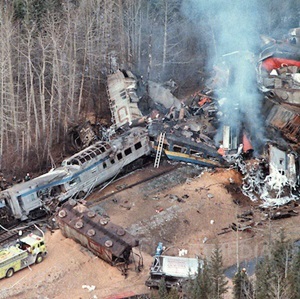 1986 – Twenty-three people were killed when a VIA Rail passenger train collided with a 118-car Canadian National freight train near the town of Hinton, Alberta, west of Edmonton. There was no evidence of braking action from either train prior to the collision. An analysis suggested that both trains would have been visible to one another for the final 19 seconds leading up to the collision. Though no conclusive reason would be found for the failure of the passenger train to react to the incursion, there was no evidence that the crew otherwise made any errors leading up to the accident. A Commission of Inquiry, however, concluded it was a possibility that engineer Jack Hudson – who was an alcoholic and heavy smoker suffering from type 2 diabetes – had either fallen asleep at the controls or had suffered a heart attack or stroke in light of his extremely poor health, leading to the collision. 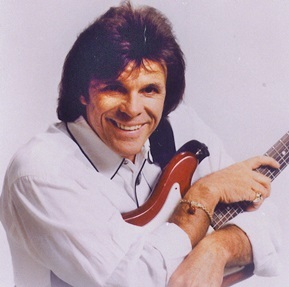 1990 – Singer/songwriter Del Shannon died of a self-inflicted gunshot wound. He was 55. He recorded nine Top-10 singles, including one Runaway) that went to #1 on the Billboard Hot 100 in 1961. Alcoholism bogged down his career and his hit-making days were over by 1965. Shannon’s last performance was on Feb. 3, 1990. He played at a memorial concert for Buddy Holly, Ritchie Valens, and J. P. (Big Bopper) Richardson in Fargo, ND. The three rockers had perished in a plane crash on the same date in 1959. 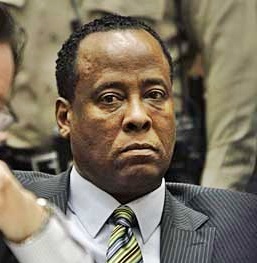 2010 – Dr. Conrad Murray, Michael Jackson’s personal physician, pleaded not guilty to involuntary manslaughter in the death of the pop superstar in Los Angeles Superior Court. Murray was later convicted and sentenced to four years in jail. 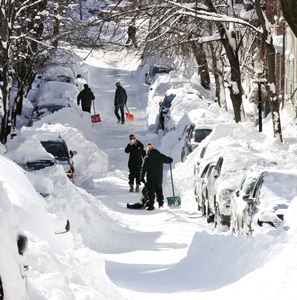 2013 – A blizzard disrupted transportation and left hundreds of thousands of people without electricity in the Northeastern United States and parts of Canada. Hamden, CT recorded the highest snowfall from “Winter Storm Nemo” at 40 inches, while Milford, CT recorded 38 inches. Portland, ME set a record of 31.9 inches. Total snowfall in Boston reached 24.9 inches and New York City officially recorded 11.4 inches of snow at Central Park. In addition to the significant snowfall totals, hurricane-force wind gusts were recorded, reaching 102 mph in Nova Scotia, 89 mph at Mount Desert Rock, ME, and 84 mph off the coast of Cuttyhunk, MA. Please Note: I’m taking a few days off from the history column. Those “few days” may turn into something longer. We shall see. You take all the time you need … you will be sorely missed but RAY must come first!! !